Like many I was really looking forward to this title as it promised to offer the best of X-Men: First Class and the original two X-men titles combined. And for the most part Days of Future Past rocks. However I have to be a little critical. Days of Future Past is a different beast compared to First Class and the original X-men titles. It's focus is more on the characters without actually giving them much to work with. Young Xavier (James McAvoy) for example has given up. And we do find out. But was it a compelling motivation? Did it make sense? Actually, I found it to be lacking in so many ways. However McAvoy manages to make your forget about that entirely because of his excellent acting. And that could be said of the whole cast. Every one is acting their pants off and it is one of the reasons why Days of Future Past is one of the better titles in the franchise. Then why am I so critical? Well, the lack of true depth to the story and characters made me crave for some action goodness. And while most of the action scenes were spectacular I found that there wasn't enough of it. I would have liked to see more of the new mutants and their powers especially the ones in the future. Although the introduction of Quicksilver and the display of his abilities was without a doubt THE highlight of the film. Only puzzling then that after this one scene he doesn't come into action any more. We want more Quicksilver please! Another mild criticism is the under use of the older actors Patrick Stewart and Ian McKellen. Their roles are nothing more than glorified cameos. And of course they make the little time they have count still I could not help to want more of them. While completely enjoying this X-Men adventure I can't hide that it felt a little underwhelming to me. Somehow I was expecting so much more. Let me explain this a little further. 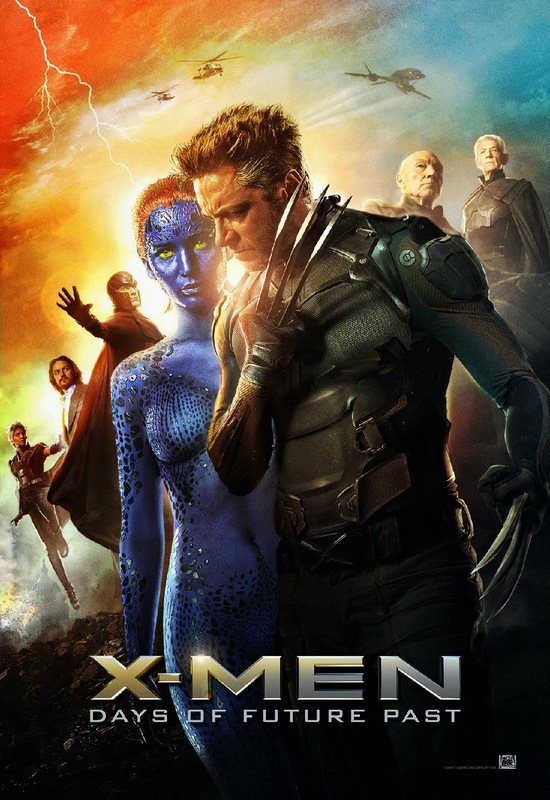 The X-Men comics and all the alternative story lines are a rich source for the film makers to make use of. And while maybe not all of them are technically possible or might be to complicated to bring on the screen there is a lot you can choose from. With all these possibilities and options why then take the easy way out? Why not delve deep into complexities between the several X-Men characters or truly show how powerful they are and can be. I mean Magneto for example is considered to be one of the most powerful mutants in the comic books. Lifting a baseball stadium is peanuts compared to what he really can do. But this goes for a lot of the mutants portrayed in the movie franchise (I do realize that it would be an incredible undertaking, however that is something that should have been taken into in consideration when adapting this comic book verse. There is a very good reason why humans are afraid of the mutants and that side should be shown in the films more elaborately. As it makes you help to understand why matters aren't as simple as they seem. The good versus evil gets a lot of layers this way. A lot of the Marvel comics have a depth to them that is so much more interesting than what has been shown in the films so far. And I find it astonishing that somehow film directors keep missing this. Overall X-Men: Days of Future Past is with right a good title but not the best in the franchise. I think X2: X-Men United is still the one that surprised and delivered the most when it came to story, action and characterization. 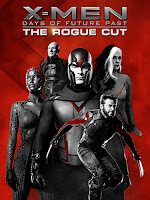 Also read my review of X-Men: Days of Future Past Rogue Cut. Review Karate Tiger 1 a.k.a. No Retreat, No Surrender (1986): Bruce Lee's ghost trains Kurt McKcinney! Review Iron Angels 3 a.k.a. Angel III a.k.a. Midnite Angels 3 a.k.a. Tian shi xing dong III mo nu mo ri (1989): Faster and more action filled than the previous parts in the franchise and that is saying something! BTW the villain in this film is not played by Saskia van Rijswijk. But by Katy Hickman. Sexiest Vampires in movies and tv shows: Who do you think is the sexiest?